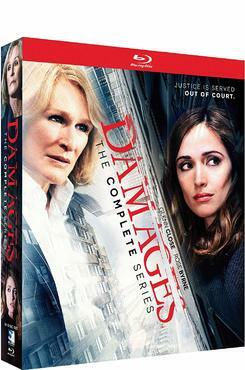 Damages is a legal thriller set in the world of New York City high-stakes litigation. The series, which provides a view into the true nature of power and success, follows the turbulent lives of Patty Hewes the nation’s most revered and reviled high-stakes litigator and her bright, ambitious protege Ellen Parsons as they become embroiled in a class action lawsuit targeting the allegedly corrupt Arthur Frobisher, one of the country’s wealthiest CEOs. As Patty battles with Frobisher and his attorney Ray Fiske, Ellen Parsons will be front and center witnessing just what it takes to win at all costs, as it quickly becomes clear that lives, as well as fortunes, may be at stake.